Davenport (Plano) and Munford (Skyline) Named Beasts Of The Week! 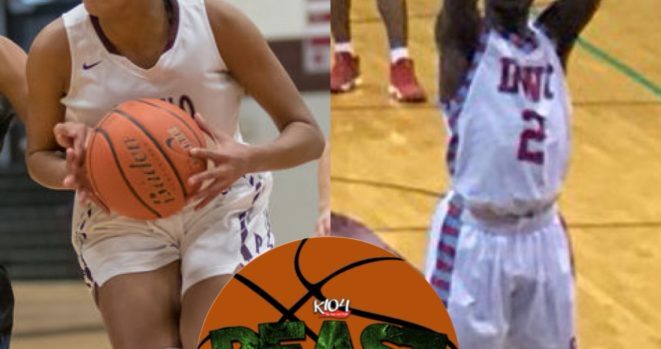 This week’s K104 “Beast Of the Week” game balls go to Lolo Davenport of Plano and Zahad Munford of Carter! Lolo Davenport (Plano) – Plano made sure Duncanville doesn’t have a chance to three-peat after the Wildcats defeated the defending state champs over the weekend, 60-48. Davenport led the way for Plano with 19 points. The Wildcats are now headed to the UIL State Tournament in San Antonio. Zahad Munford (Carter) – The Carter Cowboys got the win over Caddo Mills in dominating fashion, 87-43. Munford led the way for the Cowboys with 20 points. Carter ill play Wilmer-Hutchins in the next round of the playoffs.